On May 14th, 1927, my father Bobby Clancy and his twin sister Joan were born to Robert and Hannah Clancy in the small town of Carrick-on-Suir in County Tipperary, Ireland. He and his nine siblings were brought up in a house full of music where both his parents loved to sing and would often sing traditional ballads together. His father was an opera buff, but occasionally played the accordion. I guess his accordion playing was not all that good and he made so many ridiculous faces while playing that it was suggested he give it up and stick with the singing! I remember as a child my father telling us stories about growing up in Carrick and mimicking all the funny characters in the town. He had such a great sense of humor and would have us in stitches laughing. I’m sure that if he had decided to pursue a career in acting he would have been very successful. But my father’s first love was music and he made sure that all his children had a good balanced diet of not only Irish music but also music from different genres, especially American folk. He was a big fan of people like Woody Guthrie, Pete Seeger and the Weavers. My first memory of being on a stage is when I was four, my father had taught me a song called "Paper of Pins" in which we would swap verses and I remember he had the banjo on one knee and me on the other! When I was about ten or eleven, he tried to teach me the banjo but that didn’t last too long, so one day he put a guitar in my hands and I was hooked. As I got older the two of us would head off on weekends to some old-time pub in the middle of nowhere which usually didn’t have electricity or a toilet within a two mile radius, and my father would entertain all the ten or so people who sometimes didn’t know what had hit them! While I observed, he would recite Yates and sing songs and just watching him perform for that small crowd of people was the best experience a curly haired, freckle faced fourteen-year-old novice could ask for. Everyone knew if Bobby was going to be around, they were in for a great night’s entertainment! There’s one story in particular which for me really sums up my father. In 1992, the Clancy Brothers were invited to perform at Bob Dylan’s 30th Anniversary concert at Madison Square Garden. My father arranged for myself and my sister to get backstage passes, so we had a chance to hang out with all the "big stars!" Ron Wood of the Rolling Stones and father were chatting away and getting on great. A few months later, Ron Wood called our home in Carrick and invited Dad to join the Stones in Dublin the following night. My father thanked him for the invite but said he couldn’t make it because ha had promised to sing in a session in the local pub up the road! My brother never forgave him for that one! My dad passed away on September 6th, 2002. He was diagnosed with Cystic Fibrosis in 1999 and knew that his time was not long. I honestly believe that playing his banjo and singing every day prolonged his life, and I feel very lucky to have had not only a great mentor but also a man who lived life to its fullest and imparted to me a great love of music. I miss my father very much, but I’ll always have the great memories and for that I am truly grateful. I’ll finish up with a poem that my father loved to recite at the end of a good night’s music. Sometimes described as "the brother who stayed home," Bobby Clancy of the world-famous singing Clancy Brothers died last Friday in Ireland after a lengthy illness ending in lung complications. He was 75 years old. One of nine children of Robert and Joan (née McGrath) Clancy in Carrick-on-Suir, Co. Tipperary, Clancy was predeceased by his older brothers Tom, in 1990, and Paddy, in 1998, both of whom were original members of the Clancy Brothers and Tommy Makem group. Only Liam Clancy, the youngest sibling of all, now survives with Armagh-born Makem from the quartet who first brought Irish ballads, robustly sung in unison, to a vast global audience four decades ago. While his three brothers became unexpected stars in America during the late 1950s and early 1960s, Bobby Clancy remained in Tipperary to run the family insurance business. 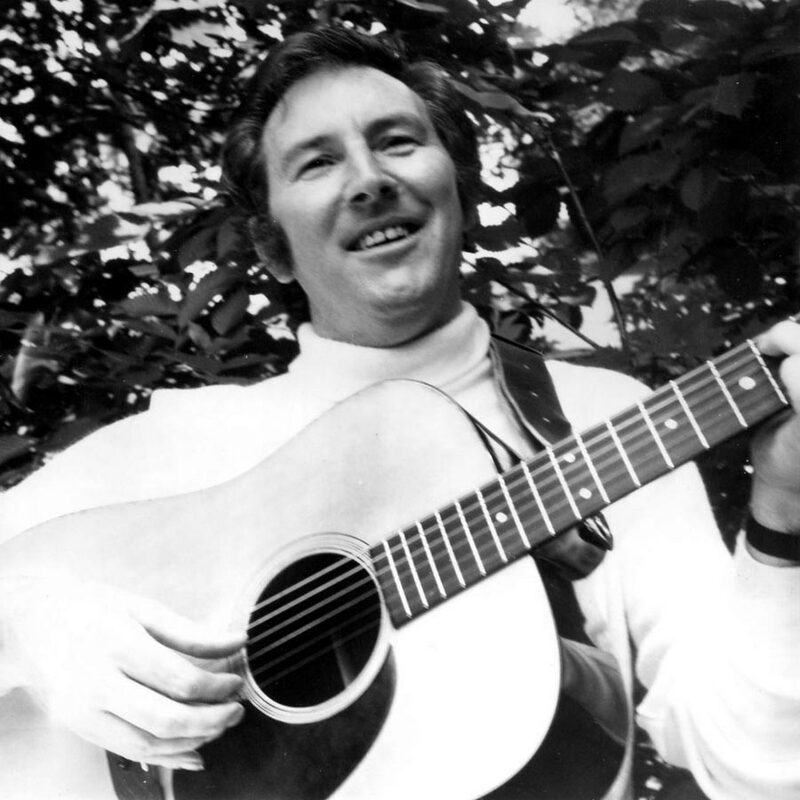 But his own abilities as a singer, instrumentalist (guitar, banjo, harmonica, bodhrán), actor, storyteller, verse reciter, and wit served him well in such TV programs as "When Bobby Clancy Sings." He also enjoyed a solid recording and touring career as a soloist and in a duo with his younger sister Peg before joining his brothers in the mid-1970s for occasional tours and recordings after Tommy Makem and, later, brother Liam left. One of the highlights of Bobby Clancy's career came on Oct. 16, 1992, when he joined his surviving brothers, Liam and Paddy, plus nephew Robbie O'Connell and Tommy Makem, at New York's Madison Square Garden for "The 30th Anniversary Concert Celebration" for Bob Dylan. Before 20,000 people, they sang a galvanizing rendition of Dylan's "When the Ship Comes In." It seemed fitting that on this night, they would borrow from the songbag of someone who frequently borrowed from theirs, a singer-songwriter who was, in his early days, an opening act for them. Over the last two decades, Bobby Clancy recorded albums with his brothers and nephew Robbie O'Connell, such as 1982's Live! and 1995's Older But No Wiser. He also issued such solo recordings as The Quiet Land and Make Me a Cup, both featuring daughter Aoife (former lead singer of Cherish the Ladies) and son Finbar (vocals, guitar, flute, banjo, bodhrán). 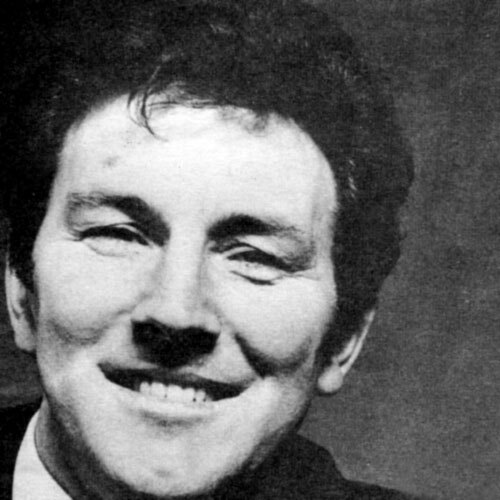 Other albums on which Bobby Clancy appeared include Mick Moloney and Eugene O'Donnell's Uncommon Bonds in 1984, Cherish the Ladies' At Home in 1999 and The Girls Won't Leave the Boys Alone in 2001, and Aoife Clancy's Silvery Moon just recently. This new solo recording by Aoife features a tender vocal duet with her father on "Kisses Sweeter Than Wine," a song with music by Leadbelly and lyrics by Bobby's folk contemporaries, the Weavers. Last Sunday evening, a wake for Bobby Clancy was held at Walsh's Funeral Home in Carrick-on-Suir. The next morning, a requiem Mass was said at St. Nicholas's Church, and burial followed in St. Mary's Cemetery. Bobby Clancy is survived by his wife, Moira, their children Finbarr, Aoife, Roisin, and Aideen, his brother Liam, his sisters Joan and Peg, his sons-in-law Ryland and Michael, and his grandchildren Lowri and Cifa. "My brothers and I always kept true to our music," Bobby Clancy once said of the extraordinary career they enjoyed. "It's not unusual for three generations of fans to come to our performances. And just by the smiles on their faces when we are singing something like 'Tim Finnegan's Wake' or 'The Galway Races,' well, that's what makes the whole show worthwhile for us." Ireland. 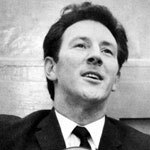 Bobby Clancy passed away on September 6th. 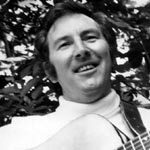 Earle Hitchner writes in the Irish Echo: "Sometimes described as the brother who stayed home, Bobby Clancy of the world-famous singing Clancy Brothers died last Friday in Ireland after a lengthy illness ending in lung complications. He was 75 years old. While his three brothers became unexpected stars in America during the late 1950s and early 1960s, Bobby Clancy remained in Tipperary to run the family insurance business. But his own abilities as a singer, instrumentalist (guitar, banjo, harmonica, bodhrán), actor, storyteller, verse reciter, and wit served him well in such TV programs as When Bobby Clancy Sings. He also enjoyed a solid recording and touring career as a soloist and in a duo with his younger sister Peg before joining his brothers in the mid-1970s for occasional tours and recordings after Tommy Makem and, later, brother Liam left. One of the highlights of Bobby Clancy's career came on Oct. 16, 1992, when he joined his surviving brothers, Liam and Paddy, plus nephew Robbie O'Connell and Tommy Makem, at New York's Madison Square Garden for The 30th Anniversary Concert Celebration for Bob Dylan. 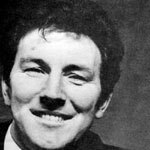 Over the last two decades, Bobby Clancy recorded albums with his brothers and nephew Robbie O'Connell. He also issued such solo recordings, both featuring daughter Aoife (former lead singer of Cherish the Ladies) and son Finbar (vocals, guitar, flute, banjo, bodhrán). 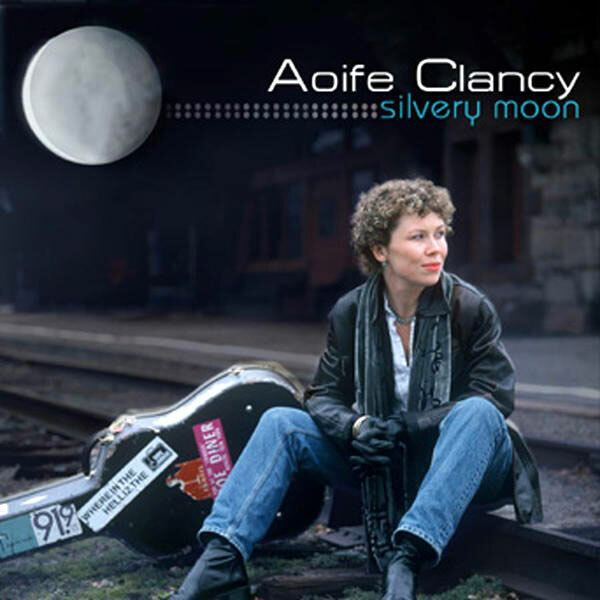 Other albums on which Bobby Clancy appeared include Cherish the Ladies' At Home in 1999 and The Girls Won't Leave the Boys Alone in 2001, and Aoife Clancy's Silvery Moon just recently. My brothers and I always kept true to our music, Bobby Clancy once said of the extraordinary career they enjoyed. It's not unusual for three generations of fans to come to our performances. And just by the smiles on their faces when we are singing something like 'Tim Finnegan's Wake' or 'The Galway Races,' well, that's what makes the whole show worthwhile for us." Frank McGrath of the Nenagh Singers Circle adds: "They say, to sing is to pray twice. So, if you wish to remember Bobby as he would wish to be remembered; if you wish to pray for him as he would wished to prayed for - just SING!"